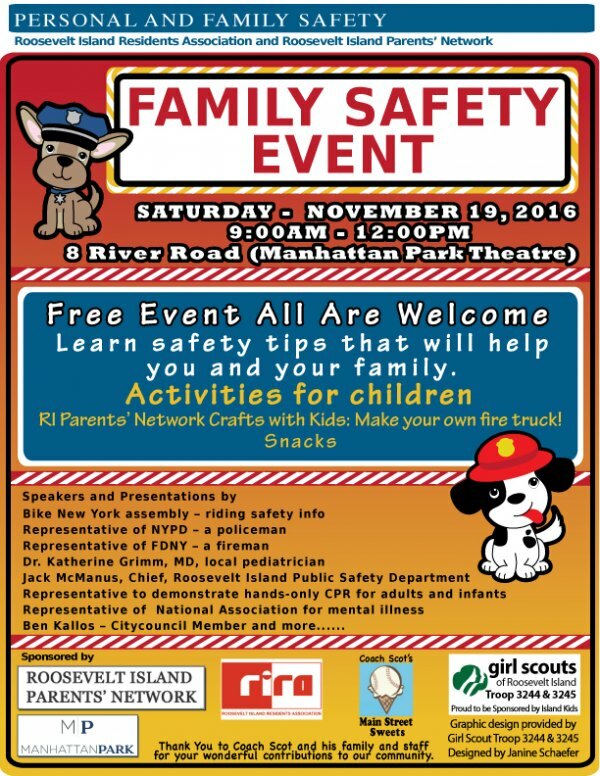 Public Safety Director Jack McManus and Dr. Katherine Grimm, pediatrician to more than a generation of Roosevelt Island Children, head the list of speakers. Along with safety tips, there will be activities for children and snacks. No need to make a reservation. Just show up and enjoy. The event is made possible through the generosity of Manhattan Park and Main Street Sweets.